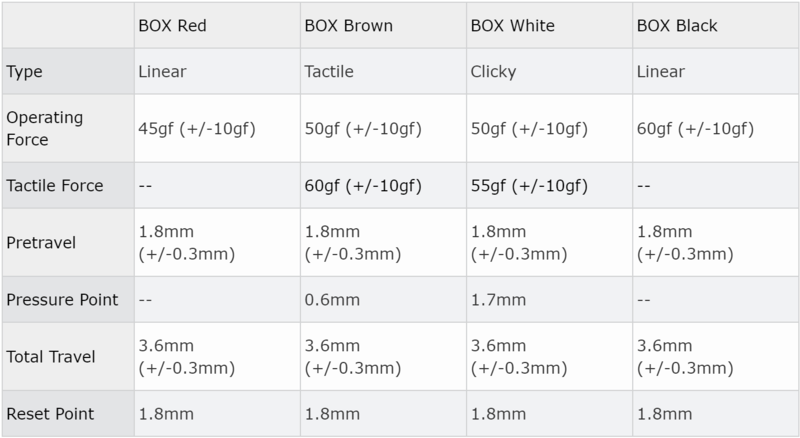 These are old stock Box switches with the x-axis of the cross stem measuring 1.32mm. 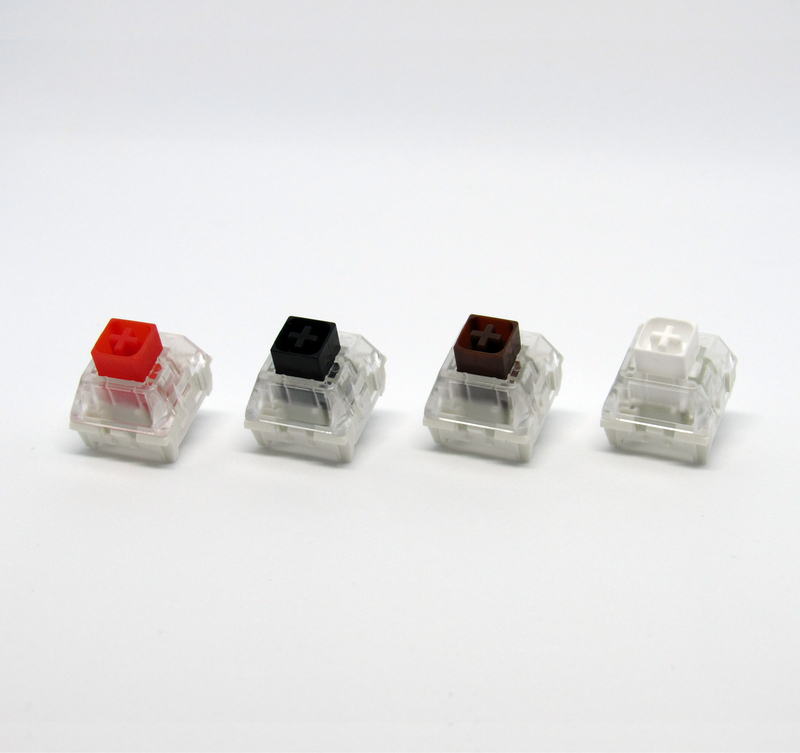 Kailh Box Black switches are truly remarkable smooth linear switches. 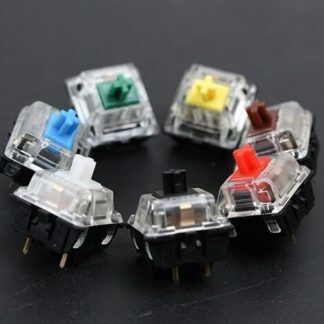 The new design and a relatively heavy spring make these switches feel very sturdy and there is less stem wobble than any variety of MX switch I have ever used. They come pre-lubed so you don’t need to bother with that tedious process. 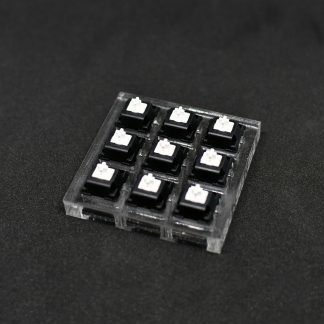 The slightly shorter travel and actuation point make them feel considerably more responsive than standard switches. 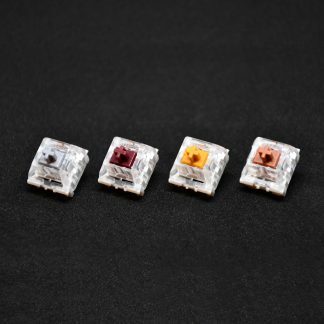 Definitely recommend Kailh Box switches.